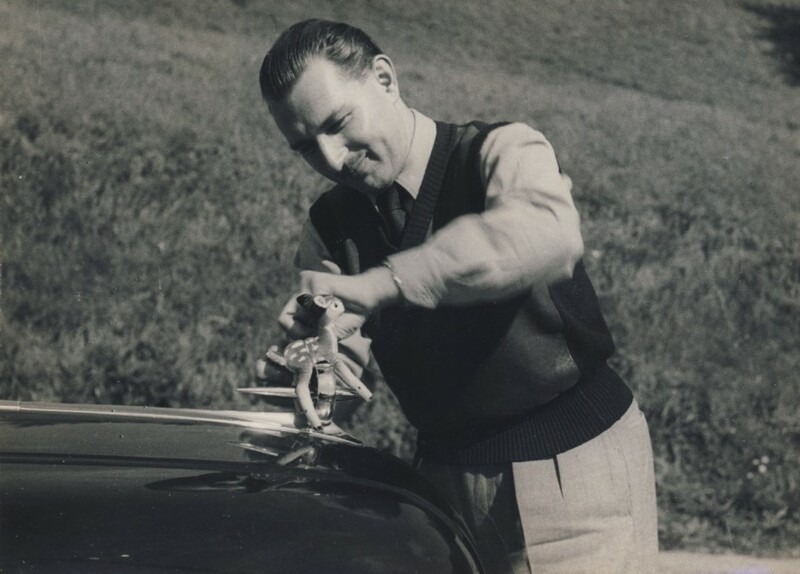 After the death of Vlado Fabry on September 18, 1961, there were many letters of condolence sent to Mrs. Fabry, Vlado’s mother, from around the world. 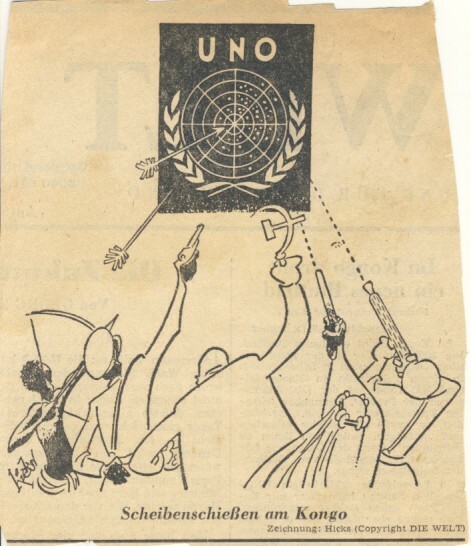 One such letter I found recently, written on UNOC stationary, is from the Italian United Nations legal expert Giorgio Pagnanelli, posted from the UNOC in Leopoldville, Republic of Congo, October 10, 1961. Only a month later, on November 11 or 12, 1961, 13 Italian airmen, members of the UNOC working to maintain peace, were brutally murdered by Congolese troops; Giorgio Pagnanelli was asked to make a report on the 13 murdered men for U.N. Security Council. Please do accept my apologies for the delay in answering your letter. Vlado’s death has left such a vacuum which will be very difficult to fill. I still cannot adapt myself to the tragic reality and sometimes I refuse to accept it. Dr. [Sture] Linner told me of your brief encounter in Geneva. I trust that Vlado’s belongings and papers have already reached you. I am also sending newspapers and other publications. Dear Mrs. Fabry, it is very true , indeed, that nothing could console the soul of a loving mother in a lost (sic) of her son; words or expressions of sympathy are within [indecipherable word] limits but sorrow goes hither and beyond these terms – I wish to say, however, that whenever I am tired, disappointed or frustrated in a job where we are expected to accomplish [indecipherable word], I remember Vlado, his courage, his strength, his belief in right things, his devotion to the U.N., then I feel that I should try to be like him – this feeling is shared by many here in the ONUC. As the New York Times pointed out, he was “a one man brain trust”. Since his arrival he organized, analyzed, solved every political, legal, administrative problem. People here used to say: “All right, we do not know the answer, let us ask Dr. Fabry”. He found it. Vlado spoke very often of his “Mamuska” and his sister Olga. Once I told him that his mother would not have liked to see him working 19 hours a day; he simply answered: “Yes, I know, but she would understand”. On Sundays he used to take some exercise – He ran for one or two hours around the golf [?] court then arrived at the office saying that he had taken a little walk…. Dear Mrs. Fabry, Unfortunately I do not have a picture of Vlado. Once he showed me one with his beloved parents (a color photo where he is seated on the armchair with his father) – if you have an extra picture of Vlado, I’d like very much to have it. Please do not hesitate to write me for anything you might desire. Dr. Sture C. Linner, the head of the United Nations mission … lost his private secretary and, in Dr. Vladimir Fabri[sic] he lost what he had once called his “one-man brain trust”. Dr. Fabri officially the legal councilor, had in fact been the mission’s thinker who analyzed events and suggested decision. Dr. Sture Linner was also on the plane headed to Leopoldville, but Hammarskjold told him that he was needed in Kinshasa; so he stayed behind, and escaped the tragic fate of the others. 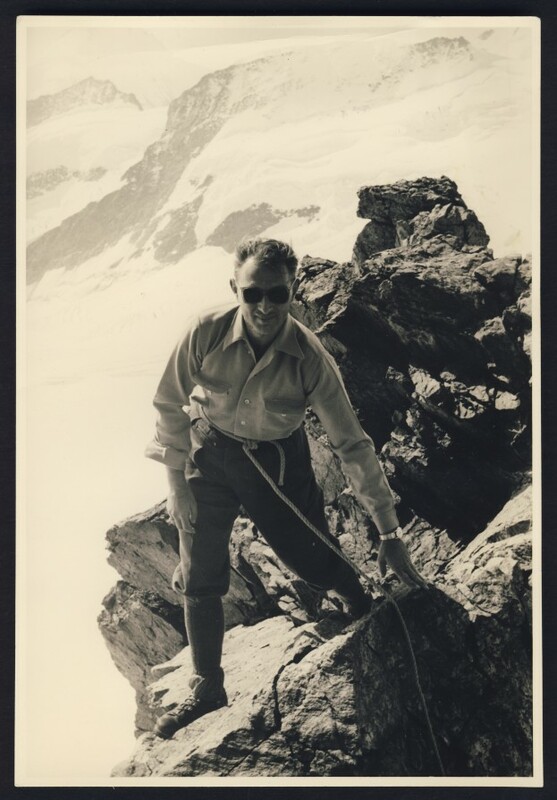 An enthusiastic sportsman–expert skier and horseman as well as mountaineer–Dr. Fabry was concerned to share these interests and, far from scorning the beginners or less agile among his friends and co-workers, encouraged them. He himself frequently enjoyed a solitary climb to his office on the thirty-fourth floor, a feat discovered by a colleague who, after seeing him emerge from a staircase door, jokingly asked whether he had walked upstairs, and was answered with a quick smile and “yes”. This entry was posted in Dag Hammarskjold, Uncategorized, United Nations, UNOC, Vladimir "Vlado" Fabry and tagged Africa, Congo, Dag Hammarskjold, family history, Genealogy, Giorgio Pagnanelli, history, Kindu atrocity, Leopoldville, NYT, Patrice Lumumba, Sture Linner, United Nations, UNOC, Vladimir Fabry, Vlado Fabry on April 18, 2013 by fabryhistory.